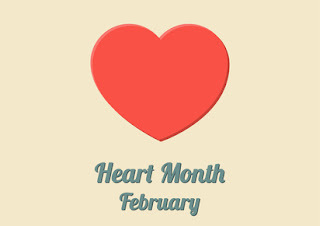 Valentine's Day has come and gone, but the heart-shaped balloons and candy still linger... as does American Heart Month all throughout February dedicated to raising awareness about heart health issues. One in four deaths in the United States is caused by heart disease each year. And heat disease is the leading cause of death in both men and women, surpassing even cancer, according to the American Heart Association. With the exception of genetically predisposed heart conditions, heart disease is largely preventable simply by making healthy life choices, especially in terms of diet and exercise. The more you do to maintain healthy levels related to blood pressure, cholesterol, weight, stress, and diabetes, the less susceptible you are to heart disease, heart attacks, and strokes. Quitting smoking also goes a long way in preserving heart health. For every day that you quit smoking for good, you could be adding years to your life. If you or someone you are with is experiencing any of these symptoms, seek medical attention immediately.